The Countryman E6i Cardioid Microphone is a miniature ear-set microphone for virtually invisible operation in stage performances, trade shows, houses-of-worship, auctions, lectures and much more. The cardioid version effectively minimizes off-axis feedback and noise from nearby monitor speakers, instruments and noisy sources. Flexible microphone positioning is maintained and the included windscreen minimizes the wind noise often associated with cardioid microphones. The E6i is set apart from the original E6 with its softer flexible boom and silicon ear-pads. The flexible boom provides ease of boom adjustability to accommodate multi-user applications. A wide variety of colors and connections are available for use with various wireless transmitters. This version is black and features a 3-pin LEMO connector for use with Sennheiser wireless transmitters. The cardioid polar pattern is effective in minimizing off-axis residual noise from e nearby monitor speakers, instruments and loud sources. The result is increased signal-to-noise ratio and minimal feedback. 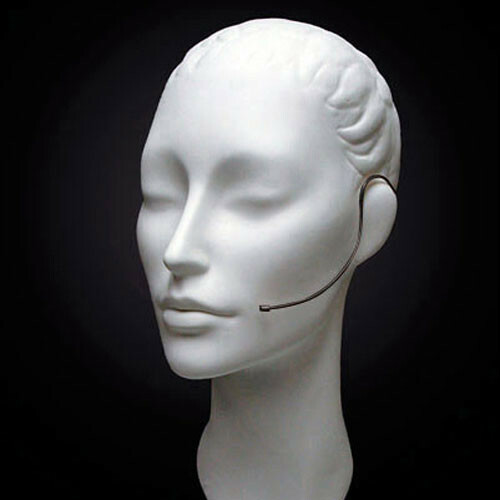 The flexible boom provides a custom fit for multiple users and close microphone positioning. The E6i is also available in an omnidirectional version for maximum control over wind noise and plosives (popping). This E6i's sensitivity response is optimized to accurately capture general speech without noise and distortion.